If you asked my girls what their favourite kids show was at the moment it would 100% be Paw Patrol, ever since they discovered it about 6 months ago the girls have been obsessed! We have Paw Patrol on the box, we have Paw Patrol toys, sticker books, bedding, even PJ’s and now we also have the new Paw Patrol magazine. 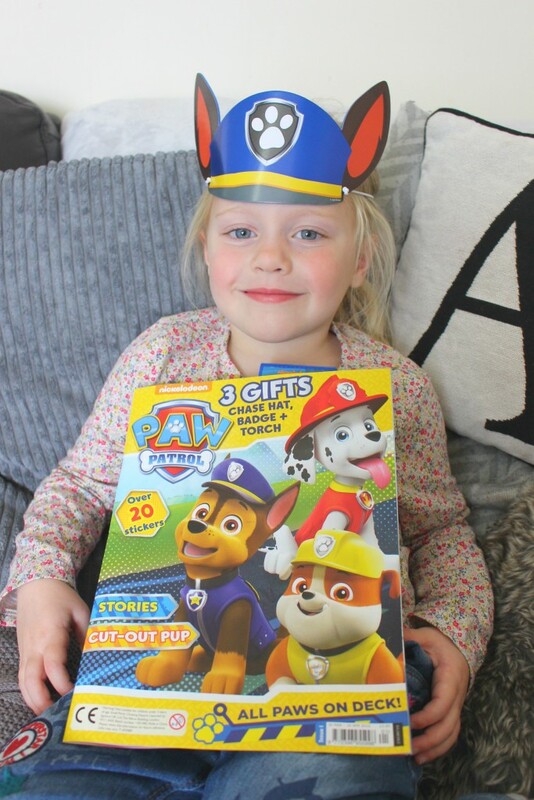 As the biggest Paw Patrol fan in the house I decided to do this review with Bella, she was so excited to get her new magazine open and get started on all the activities. I have always found magazine’s a nice little treat for the kids, it keeps them entertained for a while but also gives you a nice activity to do together. 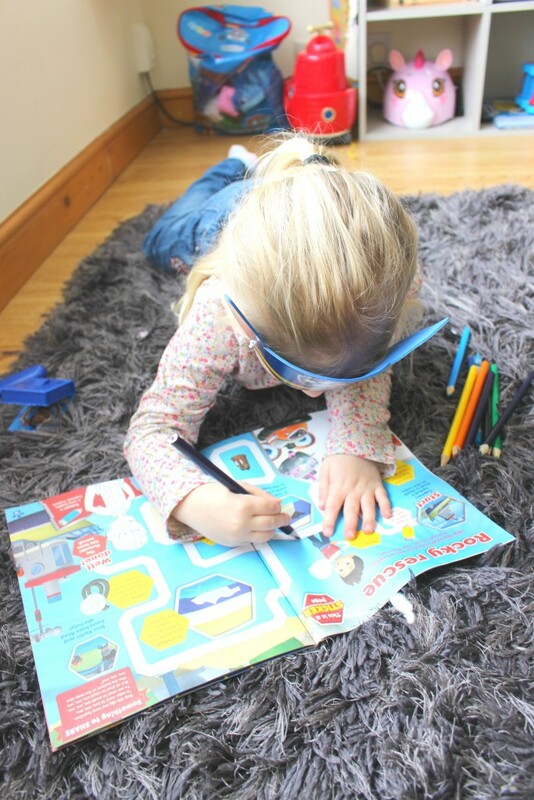 The Paw Patrol magazine is ram packed with activities for the kids to do it’s more of a little work book encouraging simple tasks like copying letters, spot the difference and colouring in. Bella’s favourite part was the stickers it made a nice change her getting them in the book and not all over my walls and floor! There was also a big pull out which I thought was brilliant one side has the alphabet and the other has a colour wheel. 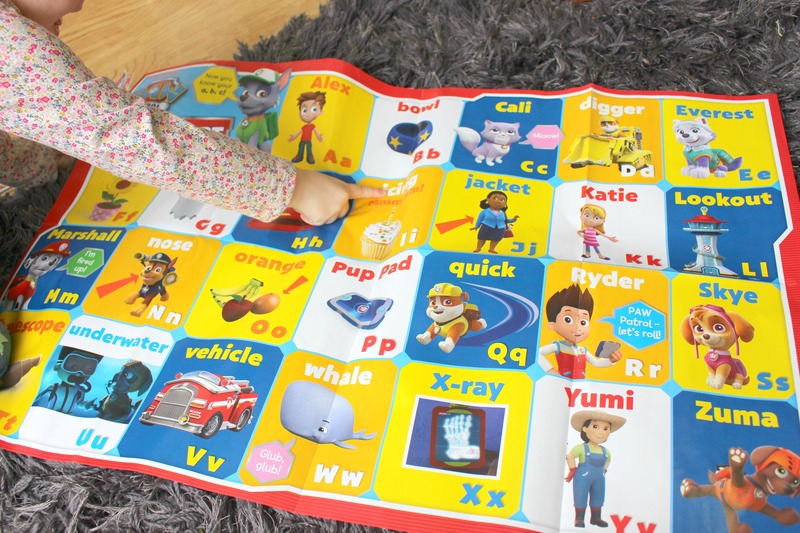 Instantly Bella was picking out letters she recognised as well as her favourite characters I am going to pop this up in their bedroom as both Maisy and Bella are really getting to grips with learning letters at the moment. 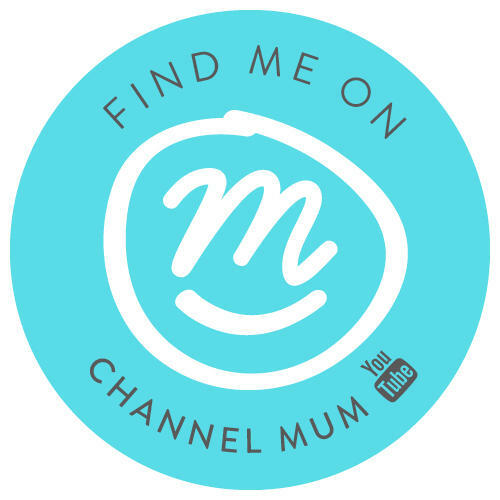 Bella and I filmed a video all about the magazine which shows just how much we loved it! Bella has proved her self to be a real natural on camera. Overall I would say this magazine is brilliant for pre-schoolers with nice big writing bright colours and simple tasks for them to follow it will be a perfect activity for keeping them busy at home. This is a collaborative post. All thoughts and opinions are my own. Bella is so so cute on this video she is a true professional – mini blogger in the making! Great review and video – it looks like a fab magazine. Full of colour and fun! Rebecca | aaublog recently posted…Chloe at Two! My son loves paw patrol and I’m sure he would enjoy this magazine. Lovely review. This looks like a great magazine. Paw Patrol seems really popular right now. My girls haven’t discovered it yet. 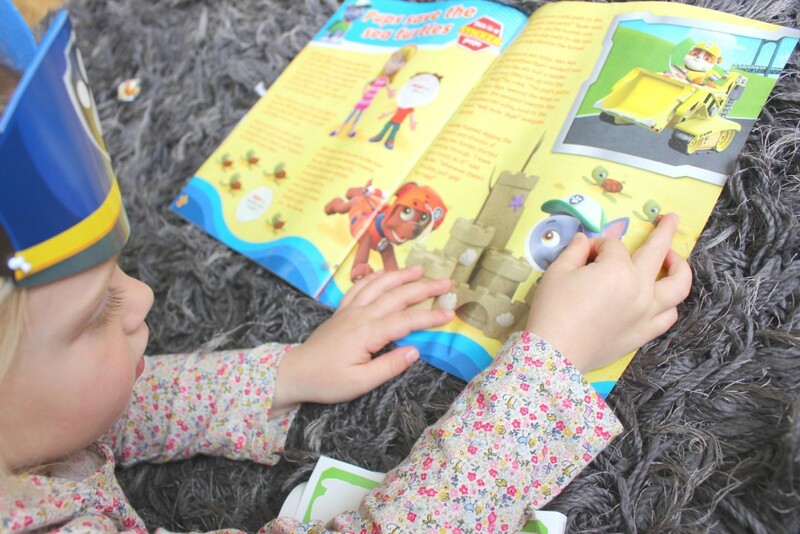 My kids love Paw Patrol and this magazine looks super fun! 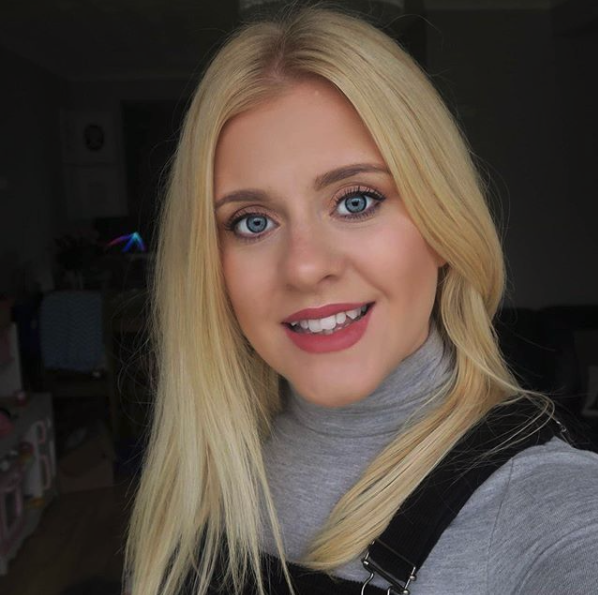 Michaela Britton recently posted…Safety Outdoors | What’s In Your Handbag?